Jessica Kingsley Publishers, 9781849055666, 208pp. Silver Medal Winner in the Essays category of the 2015 Foreword Reviews' INDIEFAB Book of the Year Awards What is forgiveness? Are some acts unforgivable? Can forgiveness take the place of revenge? Powerful real-life stories from survivors and perpetrators of crime and violence reveal the true impact of forgiveness on ordinary people worldwide. Exploring forgiveness as an alternative to resentment or retaliation, the storytellers give an honest, moving account of their experiences and what part forgiveness has played in their lives. Despite extreme circumstances, their stories open the door to a society without revenge. All royalties from the sale of this book go to The Forgiveness Project charity. 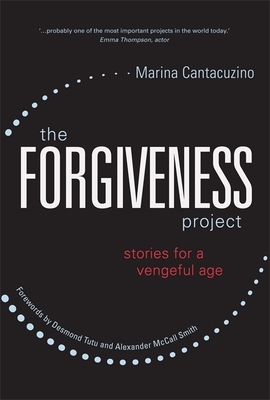 Marina Cantacuzino is an award-winning journalist who in 2003, in response to the imminent invasion of Iraq, embarked on a personal project collecting stories from people who had lived through violence, tragedy or injustice and sought forgiveness rather than revenge. In 2004, she founded The Forgiveness Project (www.theforgivenessproject.com), a charitable organisation that uses real personal narratives to explore how ideas around forgiveness, reconciliation and conflict resolution can be used to impact positively on people's lives. In 2012, Marina spoke at the UN General Assembly about the work of The Forgiveness Project.